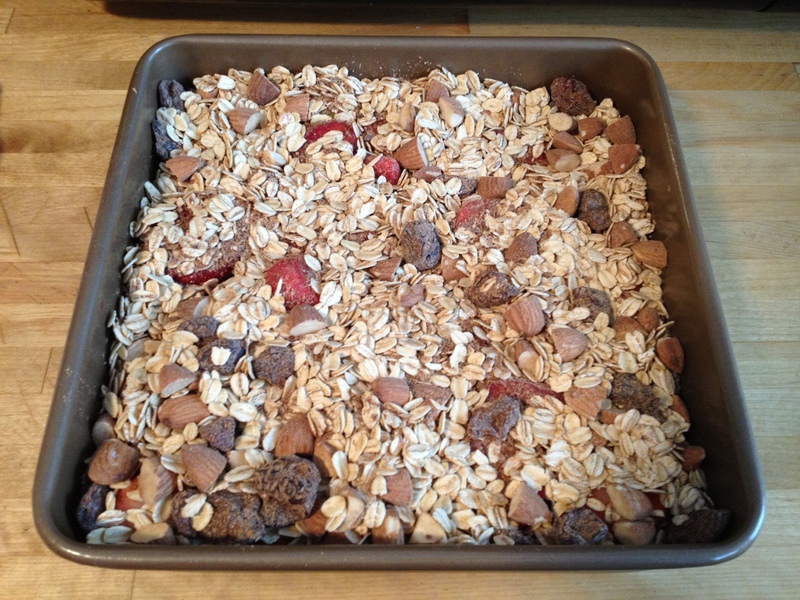 Looking for a quick and easy breakfast that’s not just tasty and healthy, but also subs for dessert? Look no further! 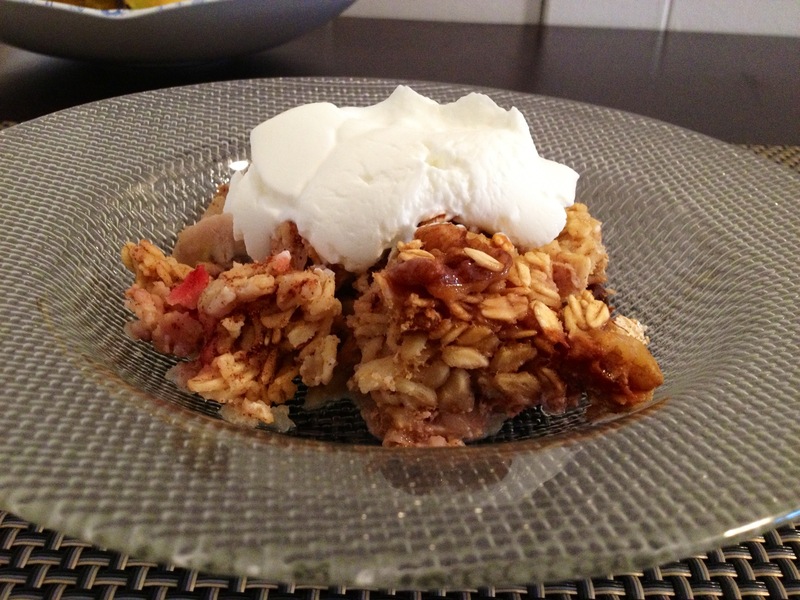 Delicious breakfast, topped with Greek yogurt! 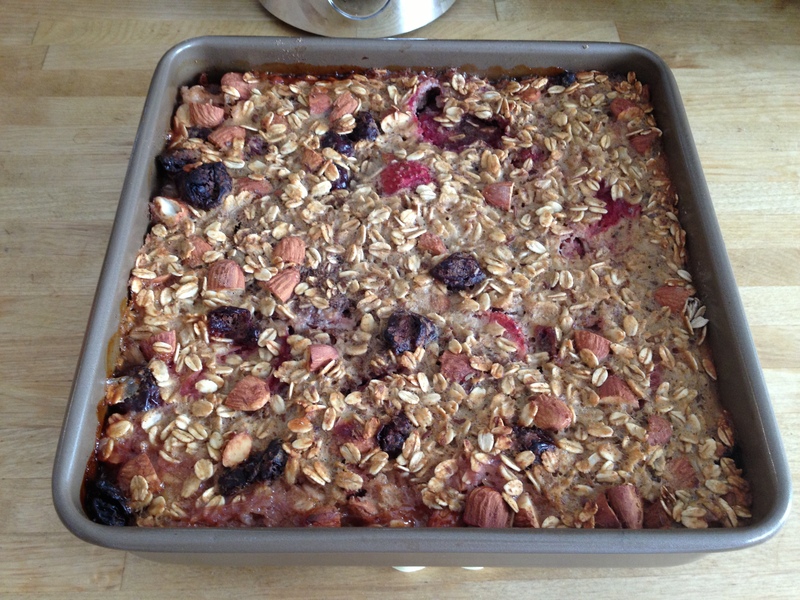 Filled with fiber rich foods – including bananas, apples, berries, and nuts – baked fruit and berry oatmeal has become my favorite way to greet the day. 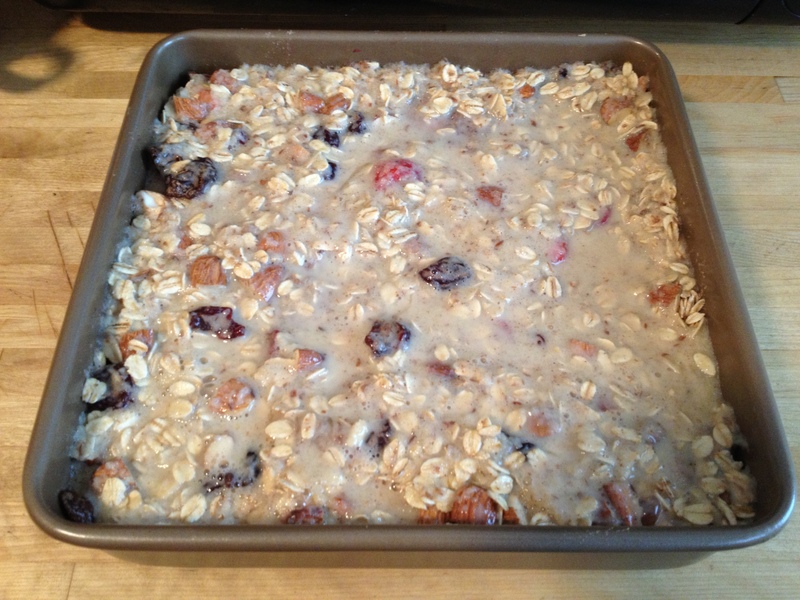 I stumbled on a baked oatmeal recipe awhile back, and have been tweaking it ever since. The original recipe used butter and refined sugar, which I’ve replaced with applesauce, bananas, and honey. You can make the oatmeal dairy- or gluten-free by making some easy substitutions like using almond milk or gluten-free rolled oats. Need more reasons to love this recipe? Bananas provide one of the highest sources of naturally available vitamin B6. Berries, often described as “super foods,” are sweet, delicious, and happen to be packed with disease-fighting phytochemicals and antioxidants. I like to whip up my oatmeal over the weekend, and instantly have breakfast for the next few days by simply reheating it in the microwave and topping it with yogurt or honey. You can find the recipe here on my friend Karen’s blog The Tasty Bite, where I posted it as a guest blogger. 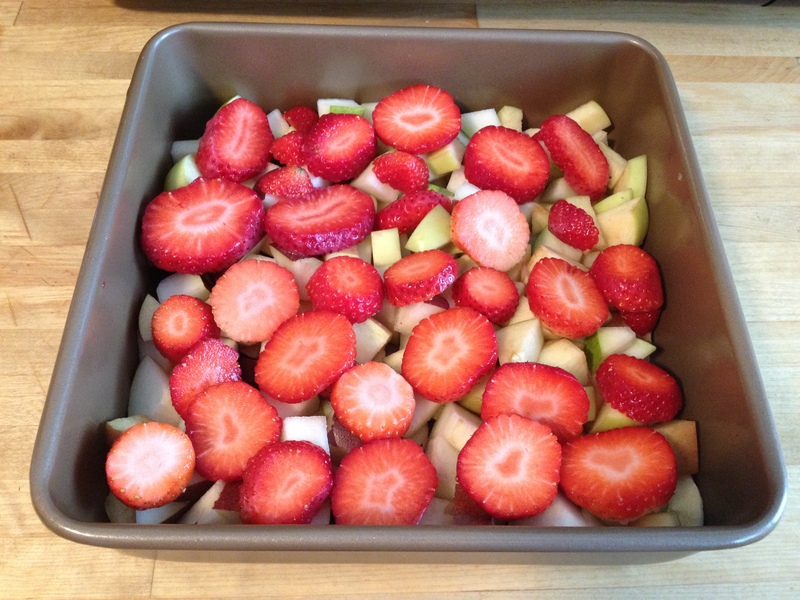 Although I prefer using fresh in-season berries, frozen berries also work well in this recipe. Make sure to use ripe bananas. They taste sweeter due to their higher sugar concentrations. Greener, less ripe bananas contain higher levels of starch, which gives them a “starchier” taste. Thanks 🙂 I’ll be sure to check them out!